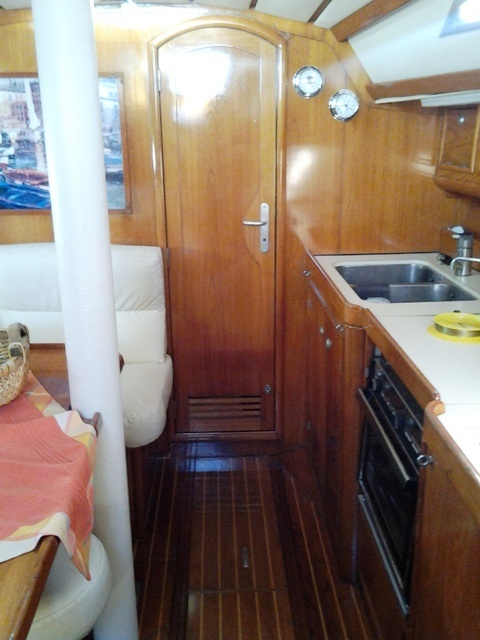 Home/Day Trips, Days to Remember/Sail it! The unconventional way to visit Balos and Gramvousa! You want to visit Balos but you do not want to drive and hike to reach there? You want to go to Gramvousa Islet and to Balos but you want to use your own plan and flexibility and not follow the ferries schedule? Then Sail it! If you are a group of 6-10 people it definitely worth going that way! And trust us, this is going to be probably the best day of your vacation! 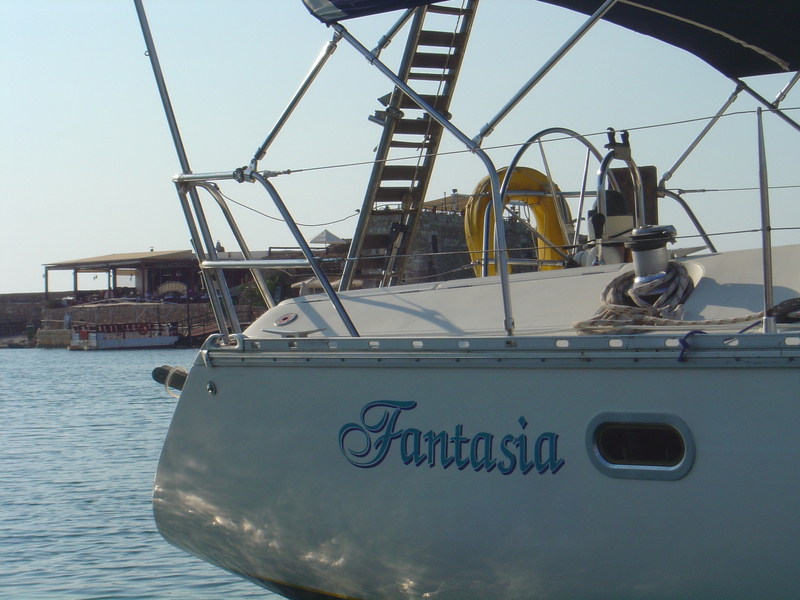 Sail boat Fantasia with her skipper will be waiting for you at the port of Kissamos for your journey to begin! 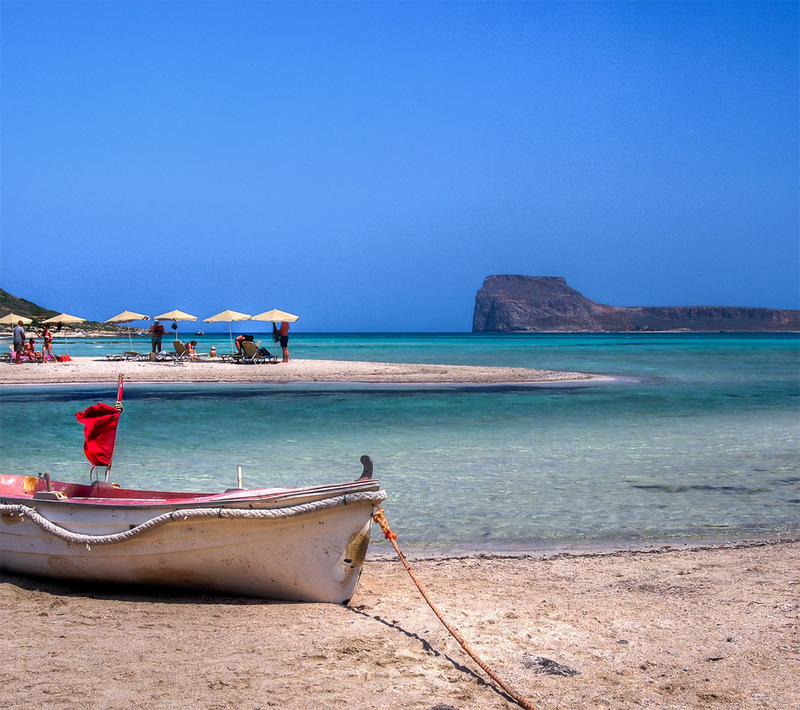 You can go anywhere you would like around the area of Kissamos Gulf but definitely the destination is one, Gramvousa and Balos. Sail all the way to the Gramvousa Islet. The only noise you will hear will be the wind and the water. Nothing else. Once you get there you will have the chance to climb to the Venetian Castle and visit the old church of Holy Apostles. 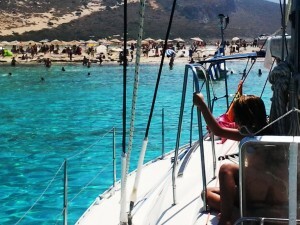 To swim choose the south part of the island where two bays are available and a ship wreck to watch. Gramvousa is protected under Natura 2000 program so there are no facilities on the island. After that, you can visit the Balos Lagoon. Turquoise colours everywhere. You can choose to swim in the open sea or to the area with shallow waters for the children. The area is protected with the Natura 2000 program but a canteen is available there as well as sun beds. Stay a bit longer than the ferries to truly enjoy the whole place. Sail boat Fantasia is a Jeanneau Sun Odyssey 39 feet (or 12 m) sail boat with 3 cabins, 2 WC, one saloon and one kitchen. 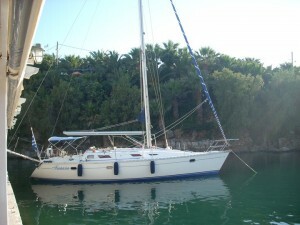 It can accommodate up to 10 guests in a unique trip in the gulf of Kissamos and Balos. 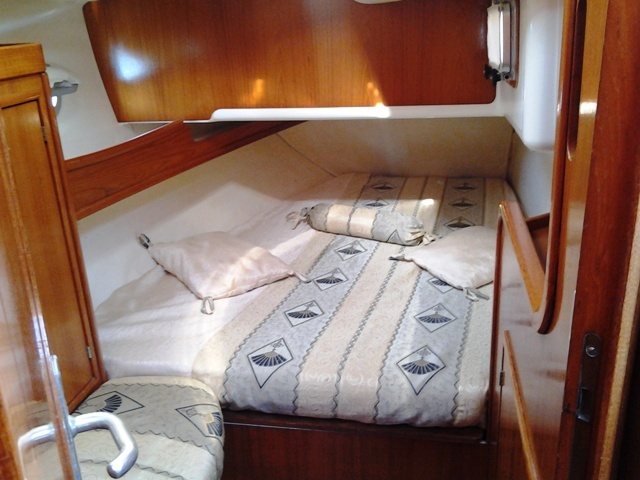 Feel free to ask the skipper to follow your plan and timetable. 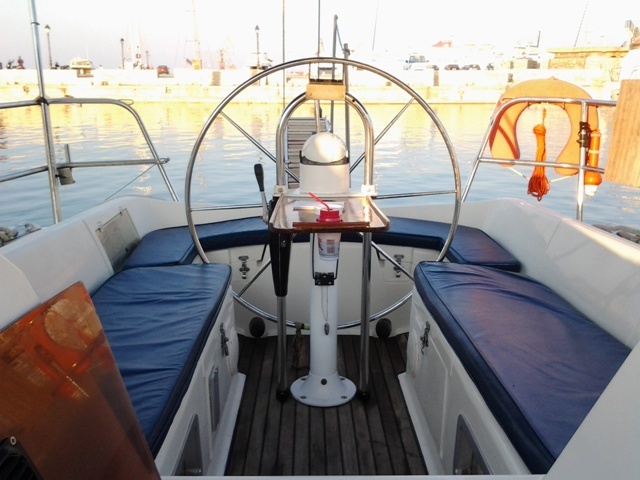 The suggested time of departure from Kissamos port is 10:00 and the return time at 18:00. However you can change is based on your preferences and follow your plan in order to avoid the crowded Balos lagoon. 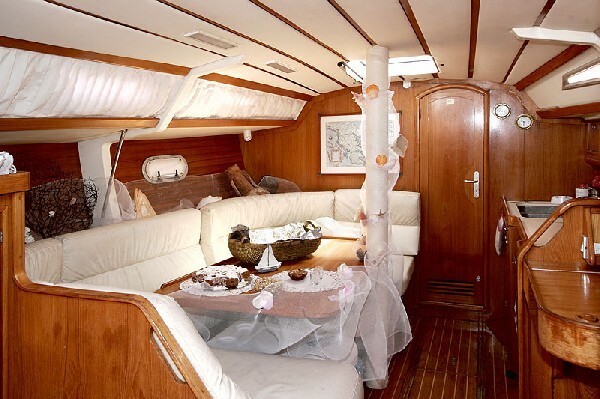 During the cruise full course lunch is offered to all the guests as well as fruits, local tsikoudia and wine. In case you are a group of 6 to 10 it is highly recommended to ask a quote and availability as you will not regret any minute of this cruise. We are sure that this day will be a unique experience! Feel free to contact us in case you would like to arrange on on-bard Fantasia any kind of special event such as anniversaries, birthdays or whatever you wish. 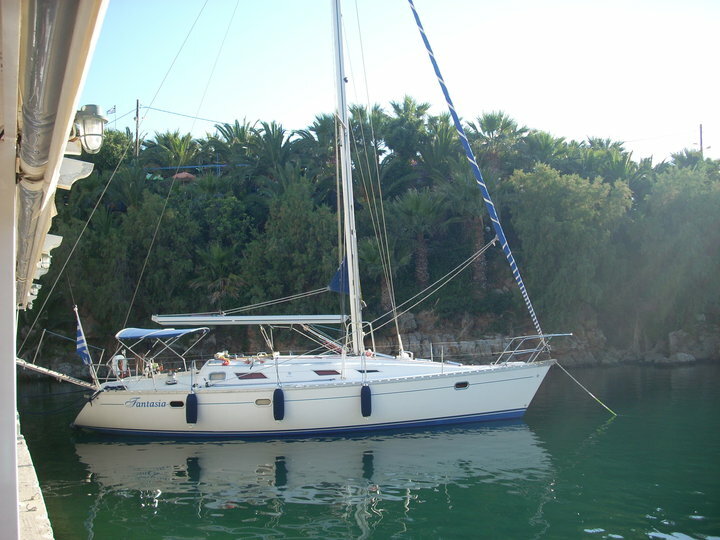 2 skippers, fuel expenses, insurance and cleaning of the vessel after the trip and food is included in the quote you will receive. In case you want to take your pet with you, do it! Weather is a factor that might affect the trip so in case the conditions are not good the trip will be postponed to the next opportunity after the improvement of the weather. In the map below you can see the current conditions of the area as well as forecasts for the next five days. We do not risk your experience in case there area waves of heavy winds.